The worldwide leading provider of storage solutions, Buffalo Technology has launched its new DriveStation HD-HXU3 high-speed portable hard drive, which the company claims as the first SuperSpeed USB 3.0 external storage solution on the market, offering lightning fast transfer rates up to 625 MB per second (or 5 Gbit/s), ideal for quick back up and storage of office work, digital photos, music, movies and more important data. Buffalo’s DriveStation HD-HXU3 includes Memeo AutoBackup software for Windows or Macintosh, which able to automatically manage and backup your files in real-time to ensure you always have a safe copy. In addition to forthcoming USB 3.0 models, DriveStation HD-HXU3 is also backward-compatible with all USB 2.0 enabled computers and notebooks. 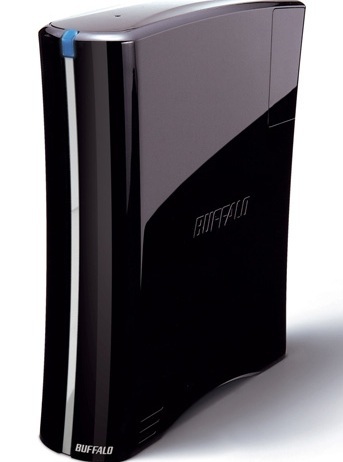 The new stylish Buffalo DriveStation USB 3.0 HD-HXU3 external hard drive that available in 3 variants of memory capacity – 1TB (HD-HX1.0TU3), 1.5TB (HD-HX1.5TU3) and 2TB (HD-HX2.0TU3), are now available for about $200, $250 and $400, respectively.